Part I: Thermodynamics and the Macroscopic Description of Physical Systems - The Behavior of Gases and Liquids; Work, Heat and Energy: The First Law of Thermodynamics ; The Second and Third Laws of Thermodynamics: Entropy; The Thermodynamics of Real Systems; Phase Equilibrium; The Thermodynamics of Solutions; Chemical Equilibrium; The Thermodynamics of Electrochemical Systems Part II: Dynamics - Gas Kinetic Theory. The Molecular Theory of Dilute Gases At Equilibrium; Transport Processes; The Rates of Chemical Reactions; Chemical Reaction Mechanisms. I. Rate Laws and Mechanisms; Chemical Reaction Mechanisms. II. Catalysis and Miscellaneous Topics; Part III: The Molecular Theory of Matter; Classical Mechanics and the Old Quantum Theory; The Principles of Quantum Mechanics. I. Classical Waves and the Schrödinger Equation; The Principles of Quantum Mechanics. II. The Postulates of Quantum Mechanics; The Electronic States of Atoms I. The Hydrogen Atom; The Electronic States of Atoms. II. The Zero-order Approximation for Multi-electron Atoms; The Electronic States of Atoms. III. 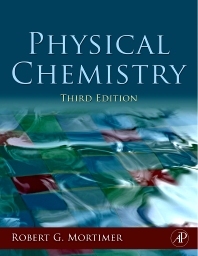 Higher-Order Approximations; The Electronic States of Diatomic Molecules; The Electronic Structure of Polyatomic Molecules; Translational, Rotational, and Vibrational States of Atoms and Molecules; Optical Spectroscopy and Photochemistry; Magnetic Resonance Spectroscopy; Part IV: The Reconciliation of the Macroscopic and Molecular Theories of Matter - Equilibrium Statistical Mechanics. I. The Probability Distribution for Molecular States; Equilibrium Statistical Mechanics. II. Statistical Thermodynamics; Equilibrium Statistical Mechanics. III. Ensembles; The Structure of Solids, Liquids, and Polymers; Appendix. 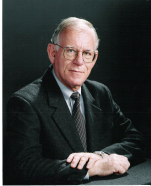 Robert Mortimer has been a professor of chemistry at Rhodes College since 1981. He is the recipient of a Woodrow Wilson National Fellowship as well as a National Science Foundation Predoctoral Fellowship.